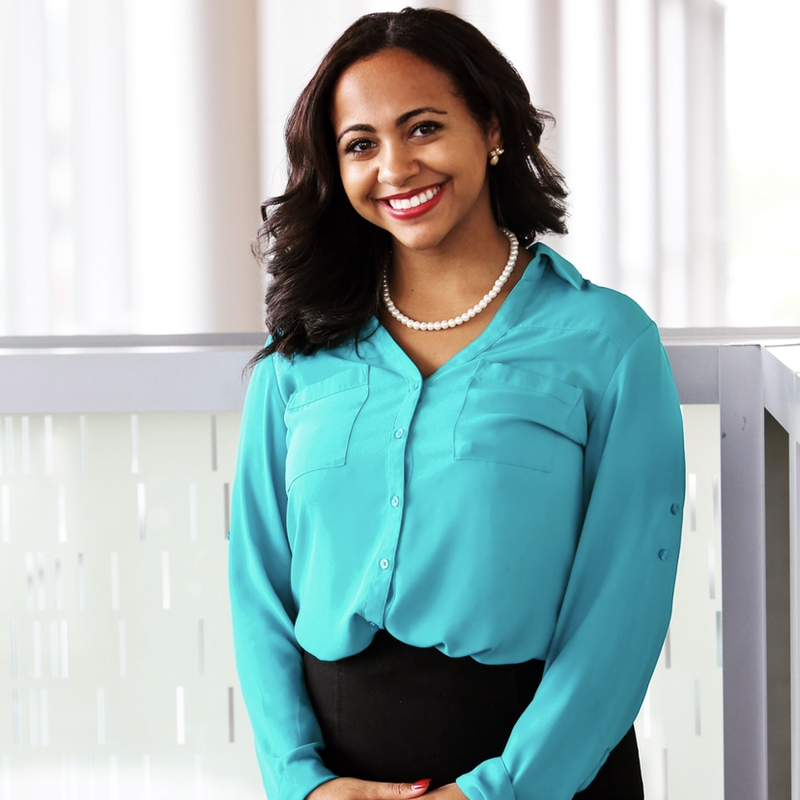 If you've met or worked with IUPUI senior Kayla Wilson, then you understand why she has been awarded the prestigious 2019 William M. Plater Civic Engagement Medallion. Her engaging spirit and enthusiasm shines through her volunteer efforts on campus. Elizabeth Wager, Lecturer and Undergraduate Program Director, Organizational Leadership, nominated Wilson for serving her peers through volunteer and other work for the Organizational Leadership (OLS) programs, the School of Engineering and Technology Office of Student Services, and the IUPUI campus as a whole. "I first met Kayla as a potential internal transfer student to the OLS program in the spring of 2016," explained Wager. "Since our initial meeting, I’ve been honored to witness Kayla’s continuous growth and strong commitment to serving others before self. Today, Kayla’s positive attitude and energy contributes to her accomplishments as a peer mentor and school ambassador." Wager got to know Wilson during the introduction to leadership class her first semester in the major. Wilson took the course during the pilot of a new OLS Peer Mentor Program. She quickly emerged as a group leader and she was asked to join the team after her first year in the OLS program. Wilson continues to volunteer time to contribute to the success of integrating peer mentoring into students' first-year experience. "I am honored to be a recipient of the plater medallion to showcase my civic engagement over the past four years at IUPUI," said Wilson. "I have a passion for servant leadership and making an impact on my community." In additional to volunteering time and effort to the mentoring program, Wilson also serves as a student ambassador. "With a vivid smile and perpetually positive persona, she guides new students and other stakeholders through the school and contributes to the welcoming environment IUPUI strives to achieve," Wager wrote in her nomination of Wilson. Although Kayla is a senior in terms of college, her experiences on and off campus have provided her with a strong resume as she steps into her new Human Resource Management career this summer. With a goal of launching her own leadership and HR consultancy firm after gaining more experience, Wilson's values include a commitment to family, friends and the community. In addition to peer mentoring and school service, she is a member and leader in the student Society for Human Resource Management (SHRM) Chapter, former Toastmaster, and former President of College Mentors for Kids. She was successful in acquiring and completing three formal internships, most recently with the IU Department of Medicine. Wilson participated in the University of Derby International Business Enterprises Semester Exchange Program in the fall of 2017, and worked as the coordinator for the International, Young Graduate Program where she gained valuable HR and cultural understanding experience as a direct contact processing new recruits for Faurecia Clean Mobility. "Kayla connects with students because they share common life experiences," explained Wager. "They see themselves as servant leaders. Their mission is to help peers persevere and find unique solutions to the complexities of being young college students. They seek to make IUPUI and Indianapolis a better place and understand that it takes a community and collaboration to achieve this goal. I can think of no other candidate who could better represent our campus as a model of personal growth and service." Wilson will be recognized at the Bringle and Hatcher Civic Engagement Showcase on April 9. The event brings together IUPUI faculty, students, and community partners each year to honor and to recognize IUPUI’s diverse community engagement activities.